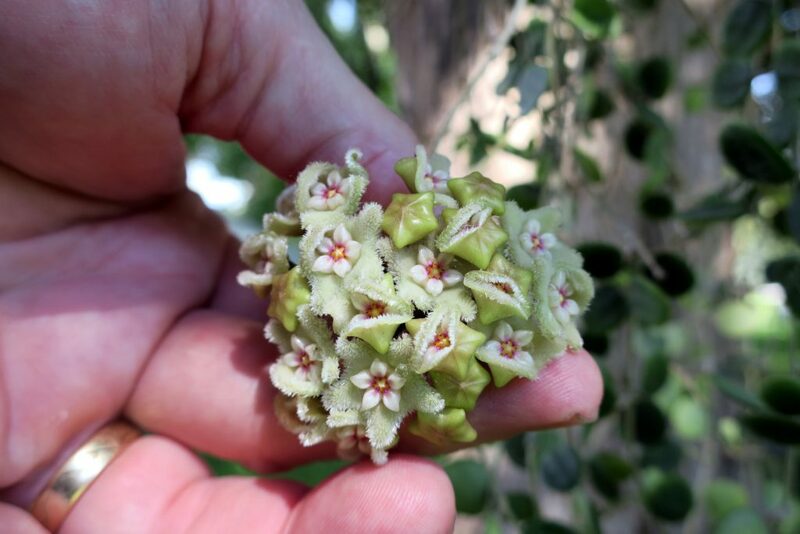 Hoya serpens – How Beautiful Are Thee? Here is a photo of Hoya serpens opening the biggest peduncle of flowers that I got for 2016. You have to look long and hard to find a more beautiful bunch of flowers and sweeter scent. That is why it continues to make my 10 best Hoyas to keep list every year despite it being somewhat temperamental to grow. This entry was posted in Hoyas on July 22, 2016 by Doug.